Preheat oven to 400°F, and gather your ingredients. Hey, Mini you're so fine. You're so fine you blow my mind. Hey, Mini! You know me; I love minifying things. Especially when there are 35 pounds of melted cheese inside a minified thing. The cheese doesn't have to be mini, but everything else does! This works. Don’t ask me how, but it does. Anyway, today I've minified some meatloaf. Chicken Parmesan meatloaf, to be exact. 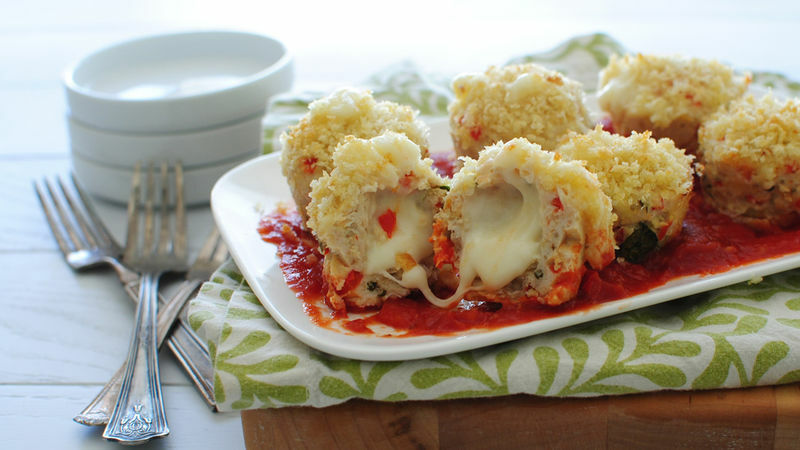 Stuffed with mozzarella cheese. 35 pounds of it. MOM, I'm kidding. Don't look at me like that. Enjoy!